• Compatible with the agricultural trailers from the Bruder range. The Atles 936 RZ really represents the state of the art as far as large-scale tractors from Renault are concerned. We have equipped this model for the very first time with a fully glazed cabin and the cabin door can be opened. 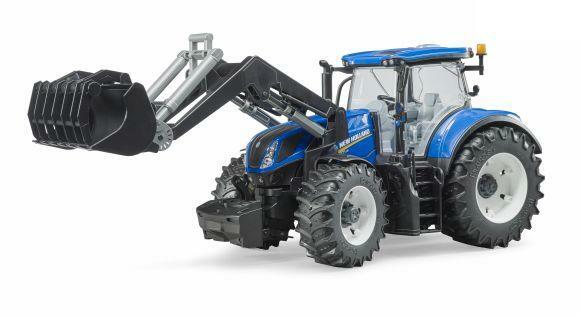 Thanks to the unique play value and steering design, based on the extension of the steering wheel which extends through the cabin's sliding roof, children can make use of the simple to use tractor steering capability, despite the total glazing of the cabin. 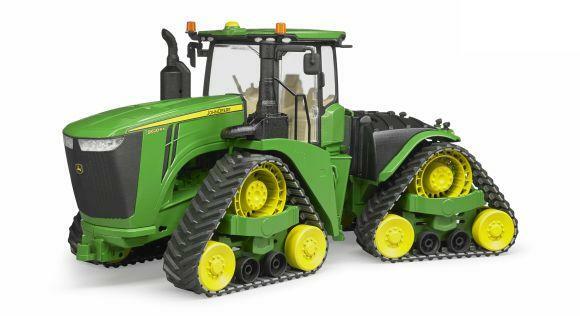 To sum up, this tractor model with its unique play functions is an innovation in the toy market and to round off the picture we should mention that the bonnet can be opened. The frontloader with its full range of accessories can be attached and there is also an option to re-equip with twin tyres.